Three days a week, Denver teacher Kendall Finch leaves her first-grade classroom after the final bell and heads to her second job at a local gym, where she works the front desk until 7 p.m. Soon, the first-year teacher will add another job on the weekend — helping coordinate beer festivals and other events. For Finch, the second and third jobs are a necessity — covering groceries, her gym membership and helping repay the $20,000 loan she took out last year to make ends meet during her unpaid teaching internship. The 27-year-old isn’t alone in working extra jobs on top of teaching full-time. Many teachers nationwide take on second jobs outside the school system — 16 percent, according to a 2014 report from the Center for American Progress. The report only looked at data for one year. The proportion is even higher in Colorado — about 22 percent — putting it among the top states where teachers take on extra employment. They’re bartenders, babysitters, deejays, tutors, cashiers and waitresses, to name a few. The prevalence of teachers with second jobs is one symptom of larger, systemic problems — the steady erosion of teacher pay, Colorado’s perennial school funding crunch and skyrocketing housing costs. But some teachers and observers say it’s also a problem in its own right, sapping teachers’ energy, diverting their focus from the classroom and contributing to decisions to leave the profession altogether. In interviews with more than a half-dozen Colorado teachers who have second and sometimes third jobs during the school year, the consensus was that teaching alone doesn’t pay the bills. Teachers in rural, suburban and urban districts — those with children and those without — all voiced concerns about meeting their financial obligations. They cited the cost of housing, health care and student loans as their biggest burdens. Several described the scramble from teaching jobs to second jobs as draining and distracting. One Jefferson County teacher, a father of three who works as a bike mechanic and property manager on the side, half-joked that he drinks ten cups of coffee a day. Abby Cillo, a second-grade teacher at Fletcher Community School in Aurora, said her after-school jobs tutoring and nannying add another layer of logistics to her day. “It’s one more thing for me to think about and plan for and do,” she said. Some experts say it’s uncommon for such a large percentage of educated workers in a single profession to have second jobs. “It’s really an important marker that we’re not treating teachers like the professionals they are,” said Lisette Partelow, director of teacher policy at the Center for American Progress, a liberal think tank. “I’ve never met a doctor who had a side gig as a waiter or waitress,” she said. Experts and teachers alike say lagging salaries are at least partly to blame for the prevalence of second jobs among teachers. Nationally, teachers earn about 17 percent less than similarly educated professionals, according to a 2016 report from the Economic Policy Institute. Even when teachers’ benefits — typically more generous than other workers — are added to the equation, teachers receive 11 percent less in total compensation. Digging into Colorado data, the statistics become gloomier. In a state-by-state ranking of average 2014-15 teacher salaries compiled by the nation’s largest teachers union, Colorado ranked 34th. Its average salary of nearly $50,000 was well below the national average of more than $57,000. In addition, the Economic Policy Institute report revealed that Colorado teachers earn about 65 percent of what similarly educated professionals earn here. 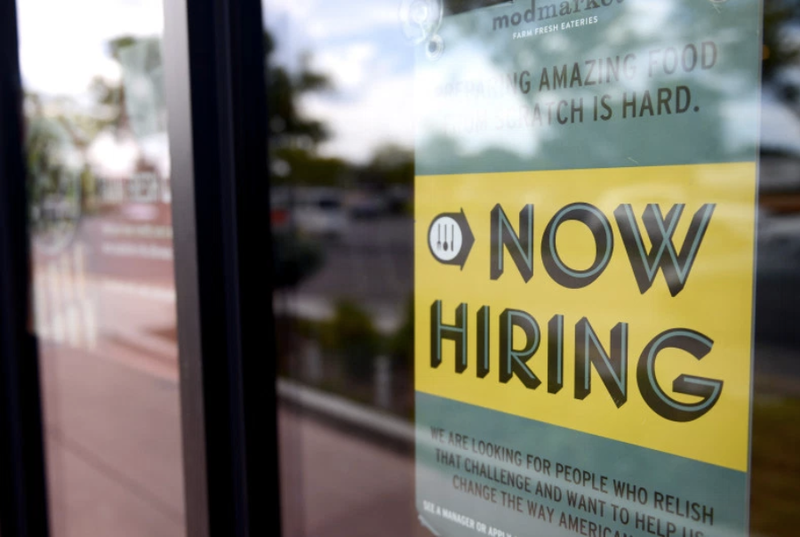 “I was a little bit shocked that Colorado was so far behind,” said Sylvia Allegretto, a labor economist at the University of California, Berkeley and co-author of the report. She noted that some other states with comparable numbers, such as Alabama and Virginia, have laws granting workers the right to avoid labor union membership or dues as a condition of employment. Those states have histories of low public sector wages. In Colorado, school budgets and teacher pay in many districts have been impacted by a complicated web of constitutional amendments and laws that contribute to the state frequently ranking near the bottom in per-pupil funding. Teaching wasn’t always like this. Back in 1994, teachers nationally only made a bit less than other professionals, and when you figured in benefits, there was almost no difference in compensation. But since then, what researchers call the “wage penalty” has grown significantly for teachers while their “benefits advantage” has not grown enough to offset it. Part of the reason for this trend was huge wage growth for non-teacher college graduates between 1979 and 2002. Teachers didn’t enjoy the same surge because they work based on long-term contracts and because public sector wages don’t go up or down as dramatically as private sector wages do, researchers say. Cillo, whose mother was a teacher and whose father was a principal, is keenly aware of the changing financial landscape for educators. This month, Cillo started a master’s degree program in organizational leadership. “As much as I love teaching … I need to be prepared for something other than education,” she said. During the week, Nikki Fitterer, 40, is a math teacher at Falcon Bluffs Middle School in Jefferson County. On the weekends, she spends 10 hours serving sandwiches, tacos and stews from a local food truck. She got the extra job several months ago — the first time in her 17-year teaching career she felt the need for extra income. One factor was the rising cost of living, she said. Another was the medical bills that piled up after she had back surgery last spring. Even with her $69,000 salary, Fitterer, who has a master’s degree, couldn’t keep up. And while Fitterer was married when she became a teacher, she has since divorced. “I’m a single person. I don’t have a second income in my home,” she said. Other teachers echoed the sentiment. Finch, the first-grade teacher from Denver, is single right now, too. She makes $39,000 a year and pays $850 a month to share an apartment with two roommates. She doesn’t see an end to working extra jobs unless she finds a partner to help shoulder the burden. But contemplating that kind of safety net feels anti-feminist, she said. It’s difficult to broach the topics of eroding pay and second jobs, without also touching on how the public views teachers. “I think the compensation issue is intertwined with the status issue,” said Partelow, of the Center for American Progress. Several teachers interviewed said while they often hear flattering comments about their noble career paths and the good they do, they feel the broader world sees them in a different light — ensconced in cushy jobs and undeserving of higher pay. For some Jefferson County teachers, voters’ recent rejection of two school district tax measures was a stinging reminder of that reality. But his friend, a car salesman, doesn’t see him staying home to grade papers and create lesson plans on school holidays or taking classes to get recertified in the summer. “There’s a lot more to the job than people think,” Rivera said. In fact, most teachers interviewed for this story reported working 50-60 hours a week for their teaching job. Second and third jobs took about 10-15 hours a week. What kind of salary bumps would make it possible for teachers to jettison their extra jobs? Answers vary. A couple teachers said $10,000 a year. One said $20,000. Rivera said while his side job keeps him from living paycheck-to paycheck, he believes his $51,000 salary is fair. Caitlin Snarr, a first-grade teacher at Pagosa Springs Elementary School in southwest Colorado, took a diplomatic approach to the question. Snarr, a fourth-year teacher, earns $35,500 a year through her teaching job, plus enough to cover her car payment by running the school’s afternoon tutoring program four days a week. “Down the road eventually it would be nice not to have to have a second job,” said Snarr, who has a daughter in third grade and a baby on the way. Getting there, at least by way of a locally generated salary increase, will take community conversations about the feasibility of ballot initiatives like a mill levy override or a sales tax measure.